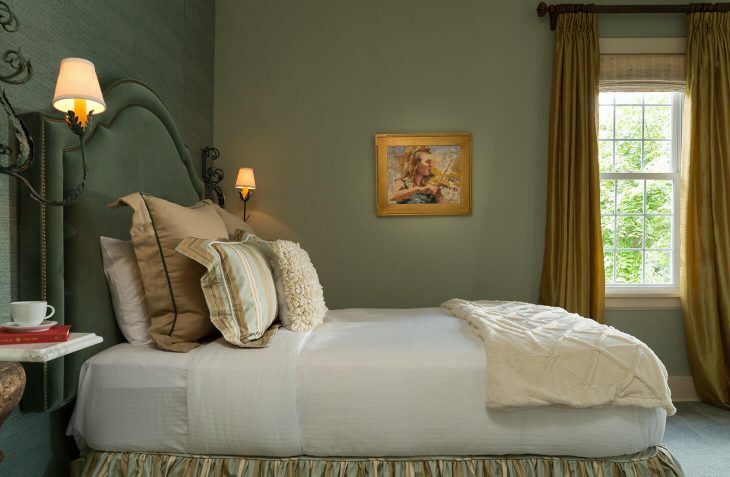 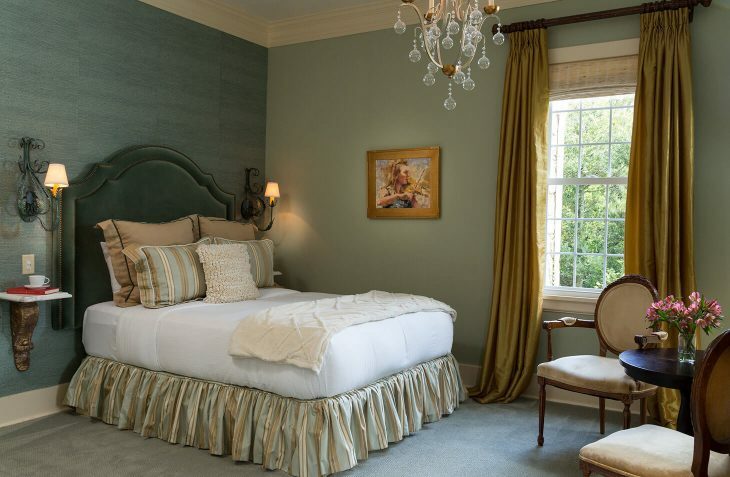 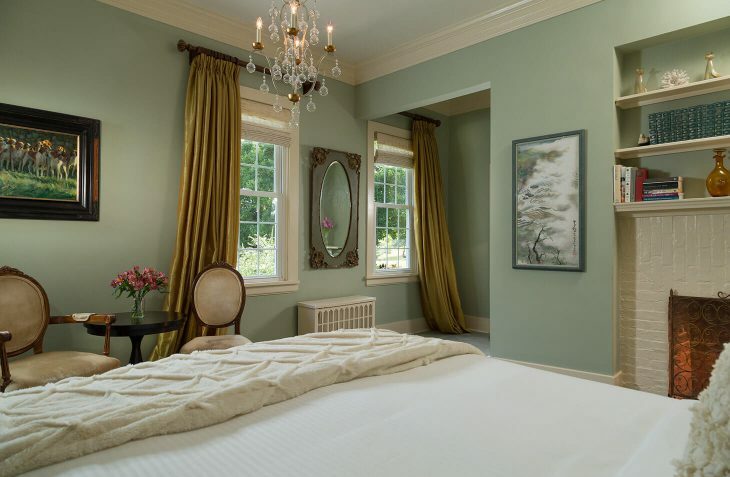 This regal and romantic suite at our Shenandoah Valley inn features a queen-sized bed with a lush velvet upholstered headboard with an antique brass nailhead trim. 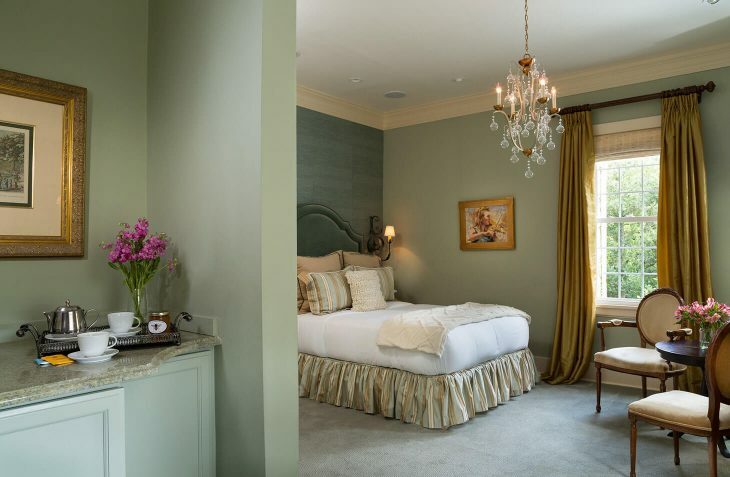 With marble accents, decorative fireplace and crystal accents, this is the perfect room for romance. 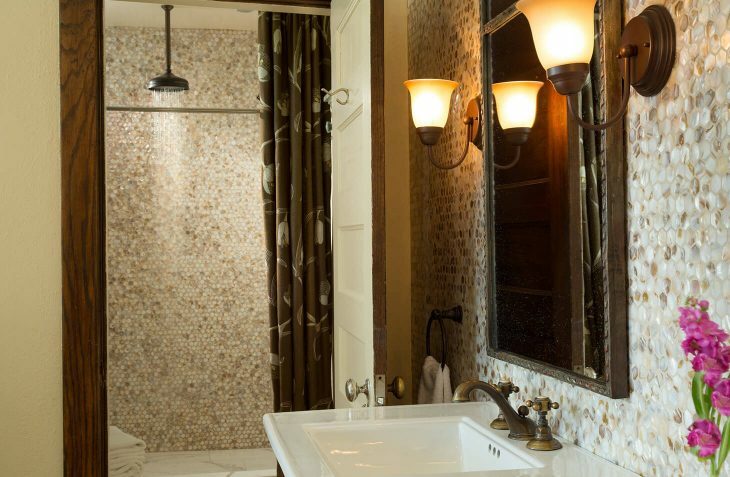 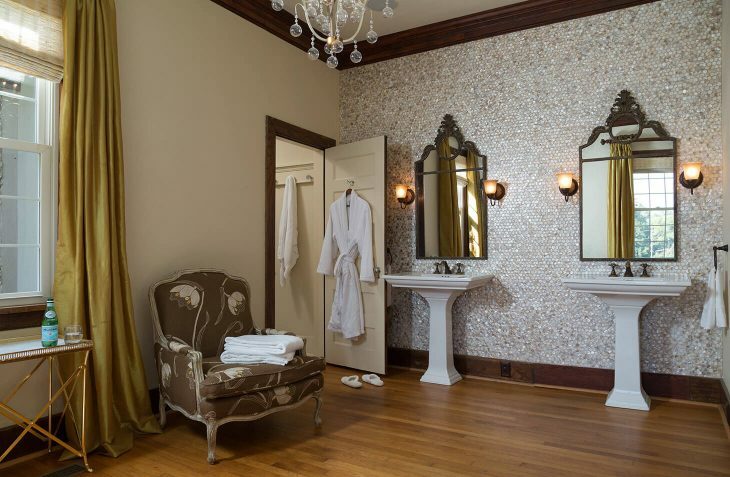 The oversized bathroom has a two-head shower, with delicate mother-of-pearl shell tile and a soothing rain showerhead. 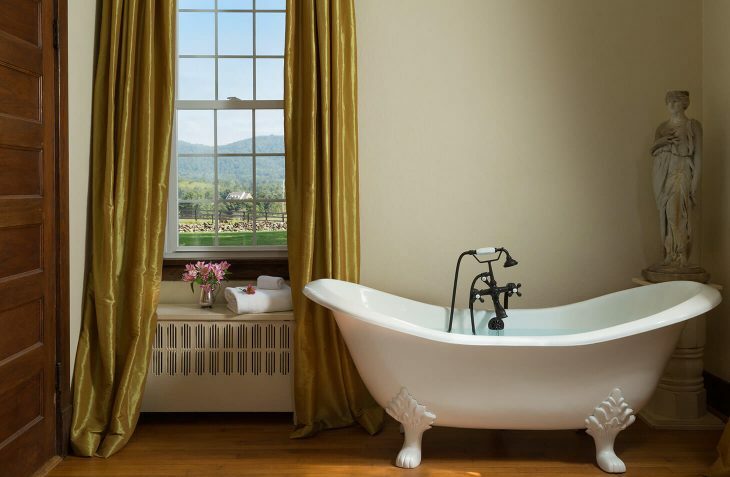 Peek at the mountain view as you relax in the clawfoot soaking tub. 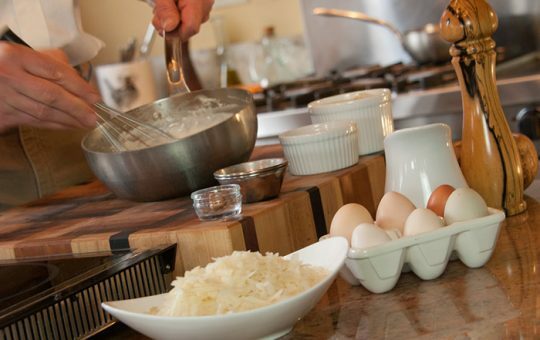 Take a cooking class with Chef Dayn, a CIA trained chef!